PIT Stop was a hit! January 23, 2012 Leave a Comment on PIT Stop was a hit! Our bi-annual PIT Stop (Princess In Training) event takes place every January and July and is always a lot of fun. Our Maiden and above Distributors are invited to our corporate office for two days of business training and special interactive workshops, activities and outings (not to mention delicious food!). This month’s PIT Stop January 13-14, 2012, was no exception. Since the January PIT Stop focuses on Glamour, we kicked off the event with many wonderful sessions on professional makeup application using our unique and patented long-lasting liquid color cosmetic technology known as SenseCosmetics™. Over the course of two days, attendees learned how to properly match foundations to various complexions, how to select shades of cosmetics to best suit both warm and cool tones, how to shade, highlight, and conceal as to minimize imperfections and enhance features. Attendees also had the chance to get their own makeup done by professional makeup and skincare experts from the Glam Squad, Distributors from Royal Distributor Kelly Robertson’s Downline. The ladies enjoyed having their personal skin issues addressed and were excited to walk away with their very own SeneBlend makeup certification. But that’s not all! We had Friday’s lunch catered by the local and popular Lime Truck, the season 2 winner of the show Great Food Truck Race on the Food Network. 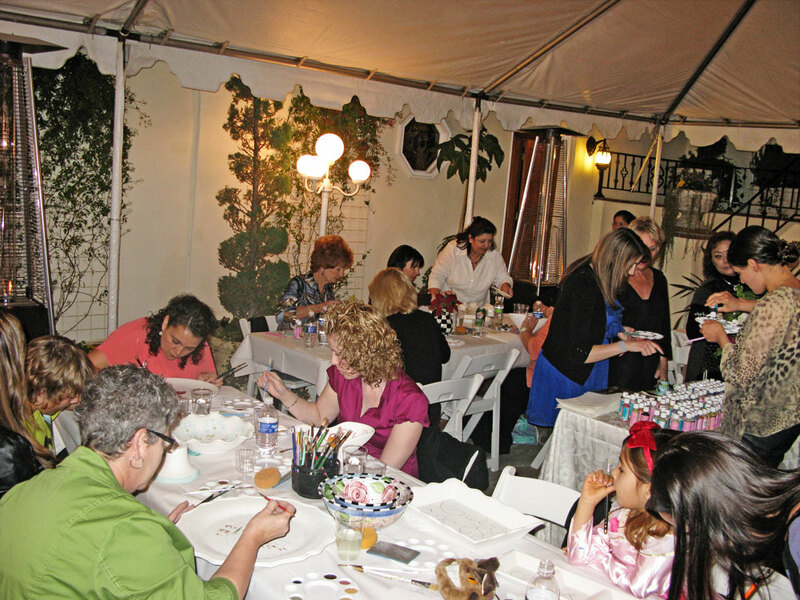 I also had the pleasure of inviting the attendees to my birthday party at my house Friday evening where we painted ceramic pieces of art with the help of my good friend, world-renowned artist, Sam Park. The pieces will be auctioned off at our annual Make Sense Foundation Awards Banquet in April 2012, and the proceeds will go to benefit the non-profit Make Sense Foundation, to help women and children in need.